This month, I'm back on the Spider-Man Animated Movie, after feverishly spending the last several months creating effects animation for My Little Pony: The Movie. My second stint on Spider-Man is only a couple of weeks but in that short time, I need to try and figure out a crucial FX in the film. 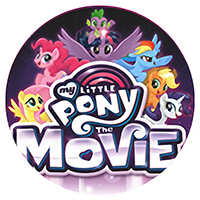 I will be resuming my work on My Little Pony: The Movie on April 3rd, and will stay on that production all the way to summer. On Friday, March 17th, I spent the day at Sony Animation Pictures in Culver City, California, meeting with the two directors, the new art director, production designer, and several new members of the crew. I worked on Spidey from May to July 2016, and there's been a lot of new faces added to the production since then. It was great meeting everyone and getting a charge from all the creativity on display. This project has a lot of potential to be ground-breaking. Stoked to be a part of it! After that, The Saga of Rex movie, I swear. The work on the My Little Pony movie is moving along nicely. I truly enjoy working on 2D animated features, as most animated films, nowadays, seem to be CG. Looks like 2D animation has been somewhat relegated to television—where some excellent work is being done, I must admit. However, "feature films", are where animators can be a bit more indulgent and show off their chops. When a project comes my way, where I can put my 2D FX knowledge to maximum usage, it's always a treat. I'm learning to work within the production pipeline which allows me greater flexibility and creative control. There is still much to do and I haven't even started on the big stuff yet. So much so, that Marcia (MLP Movie's producer) asked me if DHX could extend my contract by another two months. I checked with Sony to make sure this would be OK with them (I'm scheduled to go on to the animated Spider-Man movie as soon as I finish work on the MLP movie) and they were fine with it. So, my new end date with DHX is now April 28th, 2017. I'm actually glad I'm going to be spending more time with the ponies. They're cute and the animation looks nice! Grid Animation (who currently hold the option for the movie) were not quite ready to start with production when my contract with Gearbox ended in March 2016, so I took on two other projects as VFX Stylist/VFX Lead on “My Little Pony: The Movie” and “Spider Man 2018” to cover the down time. After I finish these two projects by Fall 2018, Rex will be my priority. While Grid has been working on the financing and distribution, they also brought on board screenwriter, Jesper Møller, to help extend and consolidate the story into a 72-minute feature film. The result is glorious and needs to be properly handled. I’m signed as both, director and producer—this is my baby. The wait has been excruciating but I need to be patient so that I can make the film I want. In the meantime, I am working on two very cool features, and learning new things everyday. Nik Gipe has been pretty excited since getting hired as my assistant. He had never worked on an animated film before, so this is all new to him. After training him for several weeks earlier this year, I suggested Nik to DHX as my potential assistant on the film. DHX said yes, and three weeks ago, we sealed the deal. Nik has officially turned "pro", as he joins me on My Little Pony: The Movie crew! 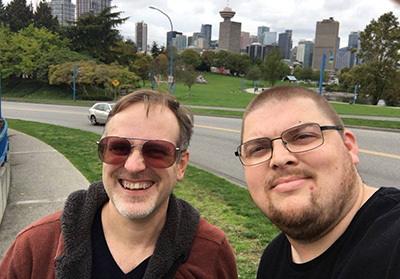 Last week, Nik joined me for the production meeting in Vancouver where we met with the director, producer and several department heads as we brainstormed the movie's VFX and technical challenges. I for one, am totally stoked. I've barely been on the project ten weeks, yet I can already see some exciting work emerging. Creating effects animation for a 2D animated feature is just so much fun. 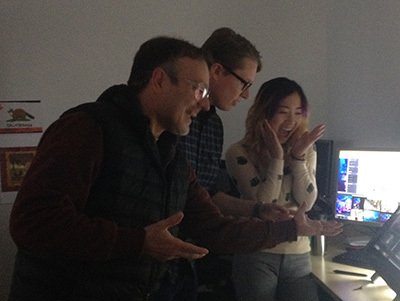 Here's a snapshot of the My Little Pony: The Movie's special effects crew. What also excites me about working on the MLP Movie, is learning about the constant breakthroughs in digital 2D animation. My deepening knowledge of Toon Boom Harmony, while working on this project is going to be extremelly useful when I do my own animated epic, The Saga of Rex feature film. 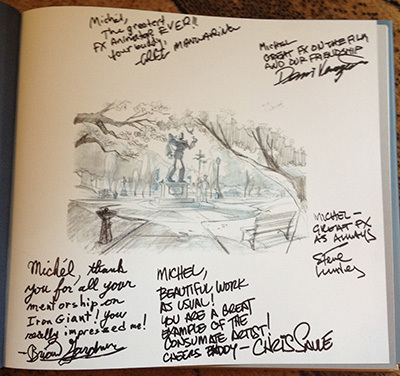 I got back from California on Sunday after taking part in The Art of The Iron Giant signing/panel event at Gallery Nucleus in Alhambra. 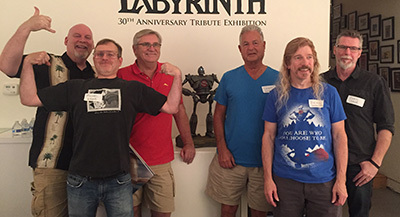 It was great fun to hang out with my old animation buddies. Several members of the crew who weren't part of the panel were also in the audience which added to the excitment. The picture below features from left to right: Greg Manwaring, Me, Steve Lumley, Dennis Venizelos, Brian Gardner and Chris Sauvé. The event was an amazing success with a huge turnout. People listened, laughed and cheered, and many books were signed and sold. I got some of my IG pals to sign my copy, but wasn't quick enough to get Teddy Newton's signatures as he seemed to spontaneously combust as we were approaching the end of the event. The book itself is wonderful and brings back many memories. I used to see a lot of these images pinned up on large boards along the hallways of Warner Bros Feature Animation. I was also happy to see that some of my art and words made it in there. 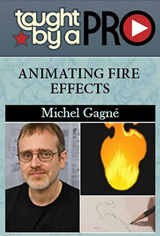 If you're into animation, you should definitely check it out. 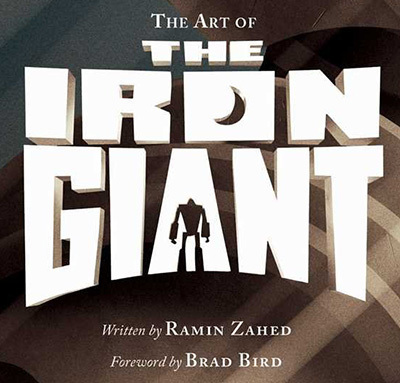 The Iron Giant is finally getting it's own art book and I'm going to be flying to California for a very special event celebrating the release. On September 24th, 2016, Gallery Nucleus (210 East Main Street, Alhambra, CA) will have an event that is guaranteed to please the fans of the film. There will be a panel with several key members of the crew, Q&A, and a signing session. For my part, I put together a short Powerpoint presentation focusing on the effects in the movie. This will be your chance to interact with crew members and find out some interesting "behind the scene" stories. The event is expected to sell out so make sure you reserve your ticket ahead of time. Tickets will go on sale 11:30 PM (PST) Friday Sept 9th and can be purchased here. On a side note, I recently wrote my reminiscence of working on the film here. In the summer of 2004, while visiting Vancouver, I met a young animator named, Jayson Thiessen. 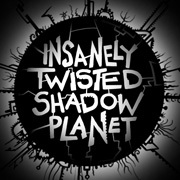 At the time, I was so impressed by his Flash skills, that I invited him to accompany me to Los Angeles to pitch a series of interstitials I'd come up with, called Insanely Twisted Shadow Puppets. I needed a Flash animator and Jayson was my perfect choice. On that trip, we saw top animation executives at Disney, Cartoon Network and Nickelodeon. It was a fun trip and something we'll never forget. Eventually, Nickelodeon commissioned 10 interstitials and I hired Jayson. Working from my Photoshop images, Jayson used Flash to animate two of the interstitials. However, even at this early stage of his career, Jayson was already in demand. Barely had he done any work for me, that he was offered to co-direct the animated series Pucca: an offer he couldn't pass up. I gave him my best wishes and hired Mike Hogue to replace him. 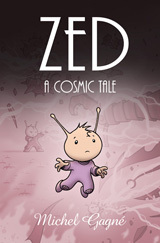 Jayson went on to forge a successful path into the Canadian animation scene. 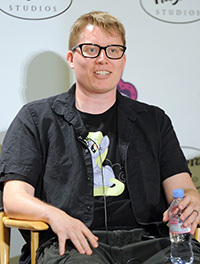 Since 2010, Jayson has been helming the My Little Pony: Friendship Is Magic animated series for DHX Media and Hasbro Studios. After six successful seasons, he's now given the opportunity to direct his first theatrical feature film. On Jun 10 2015, I received an email from Jayson enquiring about my availability and asking if I'd be interested in working on the My Little Pony movie. I didn't know much about the franchise, but the thought of collaborating with Jayson was extremely appealing. I really like the guy! 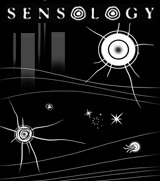 Early this year, I was invited to Vancouver where I was pitched the project. 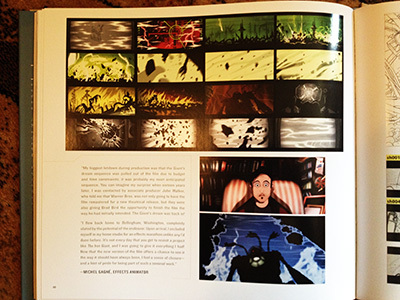 The animation tests I was shown looked fantastic and the potential for amazing 2D FX is huge. I thought to myself, this will be a great canvas for my FX! It's like they boarded part of the film with me in mind! At the time, I was still finishing up Battleborn, but my mind was pretty much set that this would be the next project I would tackle, once my obligations with Gearbox were over. Then, came the call from Sony about the Spider-Man movie, another project I wanted to do (see previous post). 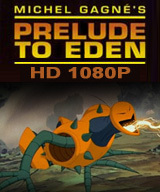 I'm so glad that Sony and DHX were able to find a way for me to do both films. 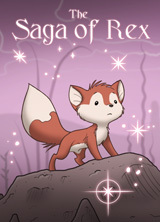 So where does The Saga of Rex movie fit in? Well, this is where things stand: Grid Animation is STILL working on the financial/distribution side and as long as I keep renewing their option, I'm in a gridlock as far as that property goes. My goal is to get Rex into production as soon as I finish the two projects I've already committed to (MLP and Spiderman). Hopefully by then, Grid Animation will be ready as well.